Merging the handsome, stately looks of an armchair with kickback comfort from head to toe, the Bingen power reclining sofa set rocks on so many levels. 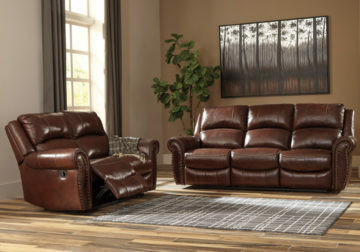 Rest assured, this recliner’s seating area is wrapped in top-grain leather for your pleasure. 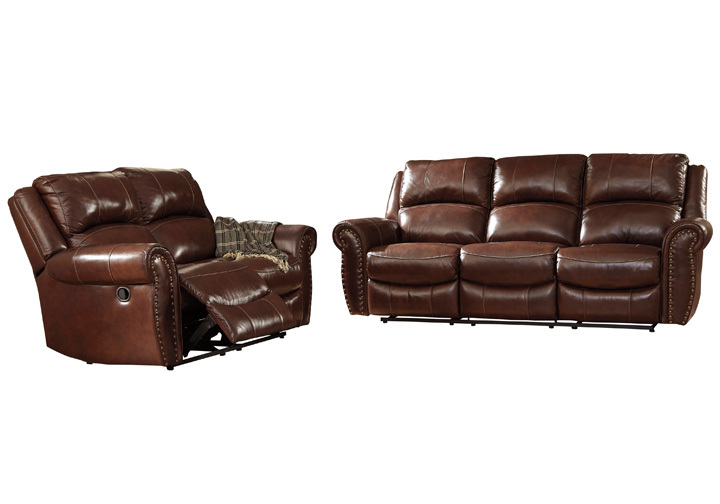 Skillfully matched upholstery everywhere keeps the price well within reason. 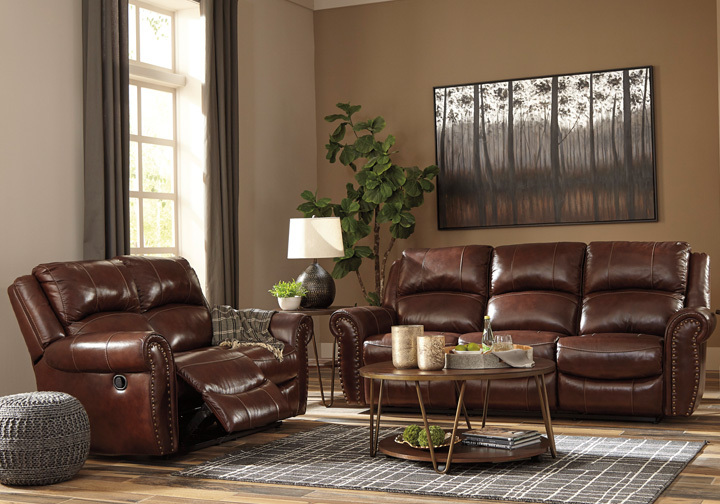 The recliner’s roll arm profile punctuated with oversized nailhead trim is an easy complement for contemporary and classic decor.